I’ve had this ongoing frustration with school canteens that promote themselves as ‘healthy’ while following the decade-old traffic light food classification scheme. This NSW scheme categorises food green, amber or red according to its nutritional value. Green light foods are meant to be high in nutrition and should be promoted. Amber light foods have moderate nutritional value and are meant to be sold moderately in ‘appropriate’ serving sizes. Red light foods are the foods that should only be sold ‘twice a term’ foods because they are low in nutritional value. Wraps and tortillas (ever checked out the packet for ingredients on these? You may be alarmed). And here’s where it gets really interesting. This system in school canteens could now be replaced with the controversial national health star rating system. This is a front-of-pack labelling system that rates the overall nutrition of packaged foods. The ‘food’ gets a rating from ½ a star to 5 stars. It’s meant to be based on comparing the salt, sugar, saturated fat, energy and positive nutrients like fibre, fruit and vegetables. It’s all based on 100g of the food and so it doesn’t take into account the serving size of the food. Milo displays a 4.5 star rating on its packet. What the? Okay, you may or may not be a believer in giving your kids Milo but putting that aside, hear me out. This 4.5 star rating reflects its nutritional value when consumed with a glass of skim milk. Guess what the rating is without the milk? 1.5 stars! Um, that’s cheeky, Milo, if you ask me. Kellogs is another one to be caught out being a little cheeky. Kellog’s Crunchy Nut Clusters score a rating of 2 (not so good) but on the side of the packet they put a 3.5 star rating to explain how the health star works. This means that the 3.5 star rating is a visual attraction to buyers who are in a rush and happen to ‘miss’ the 2 stars on the front. Cheeky, cheeky. According to the Sun Herald Kellog’s is now going to amend all its cereal packaging so that the actual health star rating of the product matches the example on the side. But the star system definitely helps drive sales with Kellog’s apparently reporting that Nutrigrain sales had increased when the formulation of the product was changed so that the rating went from two to four stars. 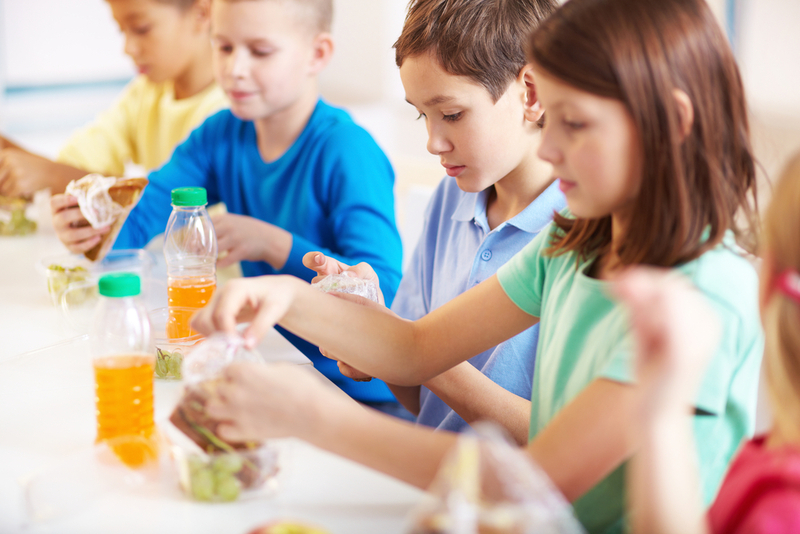 What happens if school canteens use the health star rating system? Well, apparently you can get Nestle Milo Starz and Smith’s Extra Crunchy Simply Salted promoted to the ‘high-nutrition’ category. Seriously? As a mum, and a busy mum, who doesn’t want to spend hours analysing a school canteen but feels she has to, I don’t need a health star rating to know that the ‘food’ (if you call it that) is crap. Don’t get me wrong, my kids eat ‘treats’. But that’s what we call them. Treats. You will never get me telling my kids that the crisps with a 5 star rating are ‘healthy’. Now that’s a joke I will never find funny. I don’t know about you but this whole health star rating system and lights and bells and whistles…or whatever you call them…are just masking the real problem. We are trying to make excuses for packaged foods to be in our school canteens. And to be there on a daily basis. School canteens and the wonderful people who work within them need to be empowered, possibly with more humans to help, to be able to make and supply more fresh food. With so many time poor parents out there I know that the canteen offers a quick alternative for those busy mornings or the mornings with low food supply at home to make lunches. But I know that I would use the canteen more often if I could be assured that my kids weren’t seeing chips, biscuits and finger buns when they go to purchase. And then there are those ‘healthy’ lunches. The ones that parents who are ‘health conscious’ are ordering without thinking twice. ‘I’ll order my child the cheese and salad wrap with mayonaise’ thinking it’s great. But there’s no question as to what’s in the mayo (sugar, for a start) or the cheese (what brand?). And don’t get me started on the ingredients in the wrap breads these days. Then if you give them a few coins to buy a ‘treat’ you feel like you’ve done the right thing, right? You can make the decisions you want about your child’s food…just think twice before assuming that the ‘healthy’ foods are as healthy as you thought. The ‘Health Food’ Aisle – What a load of crap. January 26, 2016 Editor@thefitbusymum Comments Off on The ‘Health Food’ Aisle – What a load of crap.